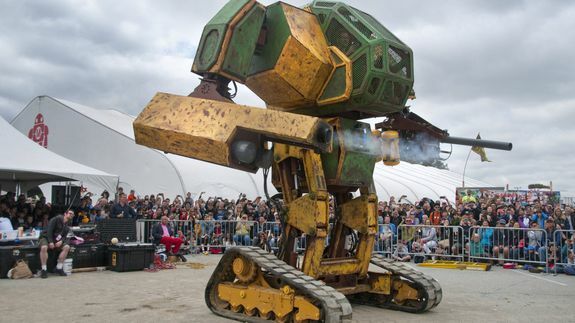 Challenge accepted: America's giant robot will battle Japan's giant robot - trendistic.com: ever tried. ever failed. no matter. try again. fail again. fail better. A dozen movie and TV robot fantasies are about to come to fruition: Two giant robots, one from Japan and one from the United States, will battle until only one is left standing. See also: Team KAIST won the 2015 DARPA Robotics Challenge, so now what? Season 2 of the Rocket League Championship Series is open to any esports players who would like to compete for a big $250,000 prize….